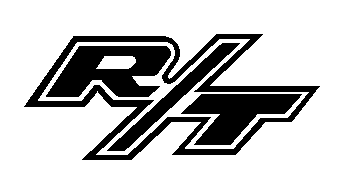 R/T Logo in various sizes. Design is cut using 3 mil. Intermediate Performance Vinyl, that has an outdoor lifespan of up to 5 years and is made in USA.